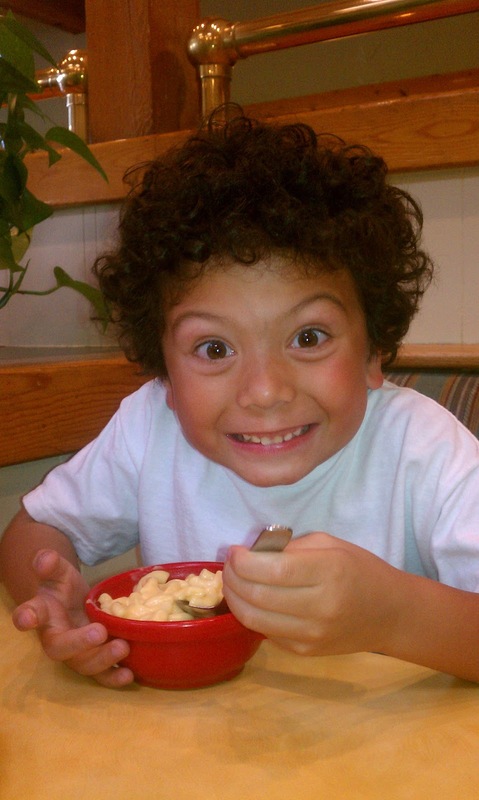 Happiest boy ever...finally getting to have Mac N' Cheese for dinner after a long 40days of giving it up for Lent! I'm so proud of him. I didn't think he could do it because he loved his Mac N' Cheese, but he did..and without any temptations!